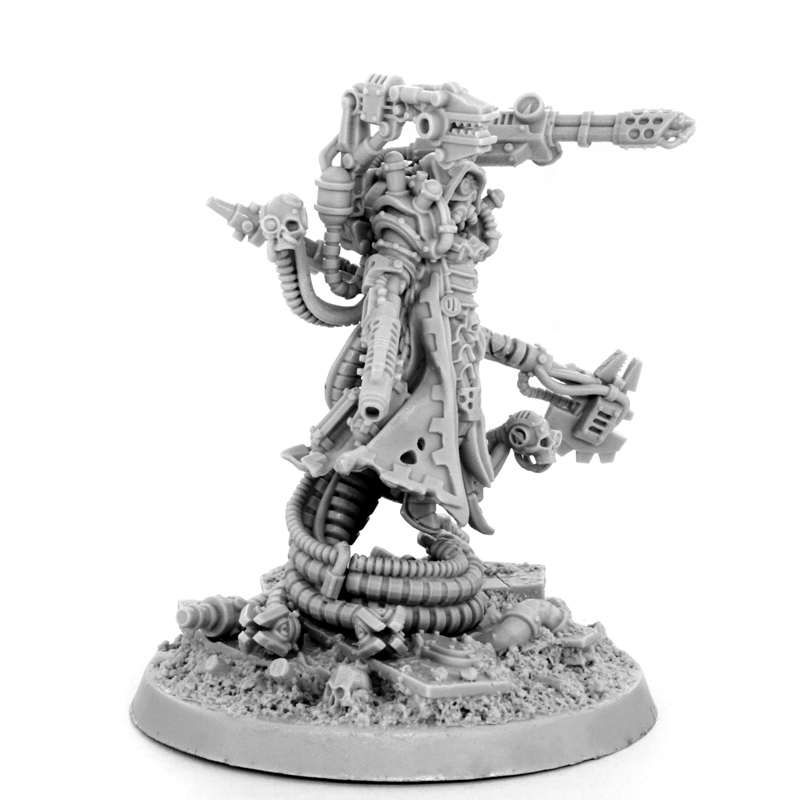 Excellent miniature, high quality design. 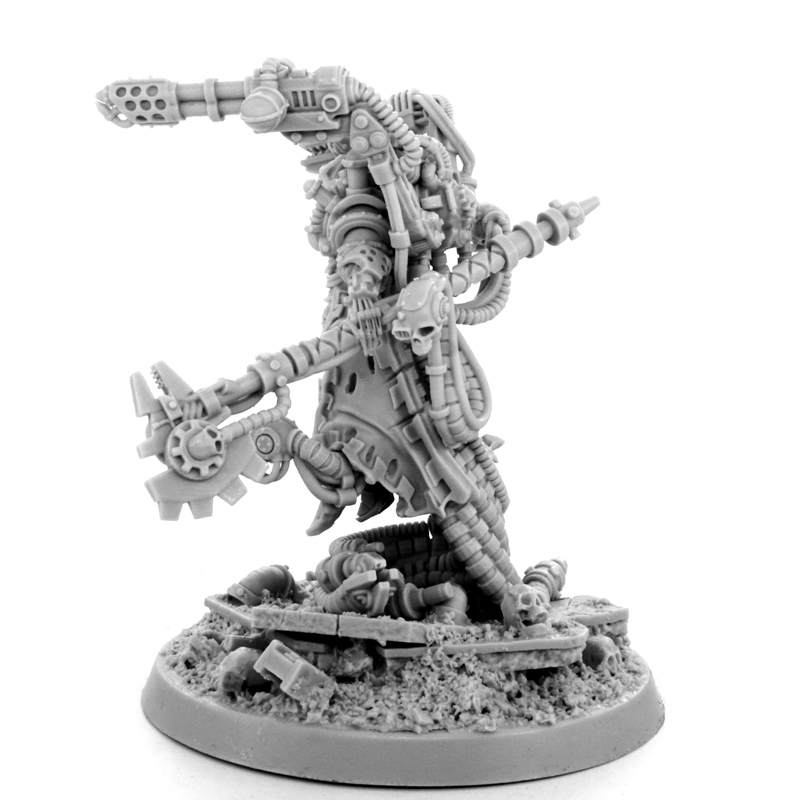 A perfect centrepiece for my Mechanicum army. 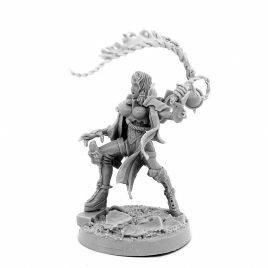 Keep up the good work at Grim Skull miniatures. 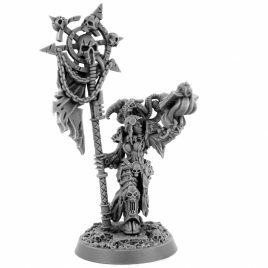 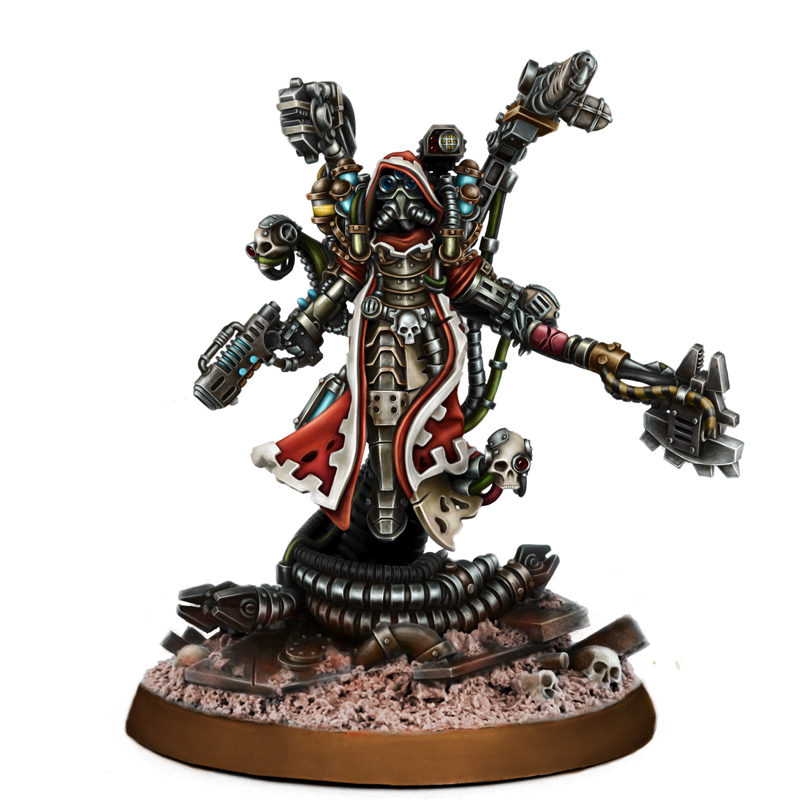 Very nice model, i am just worried about the size, it will look relatively small compare to the other TechPriest dominus, but that should be manageable. 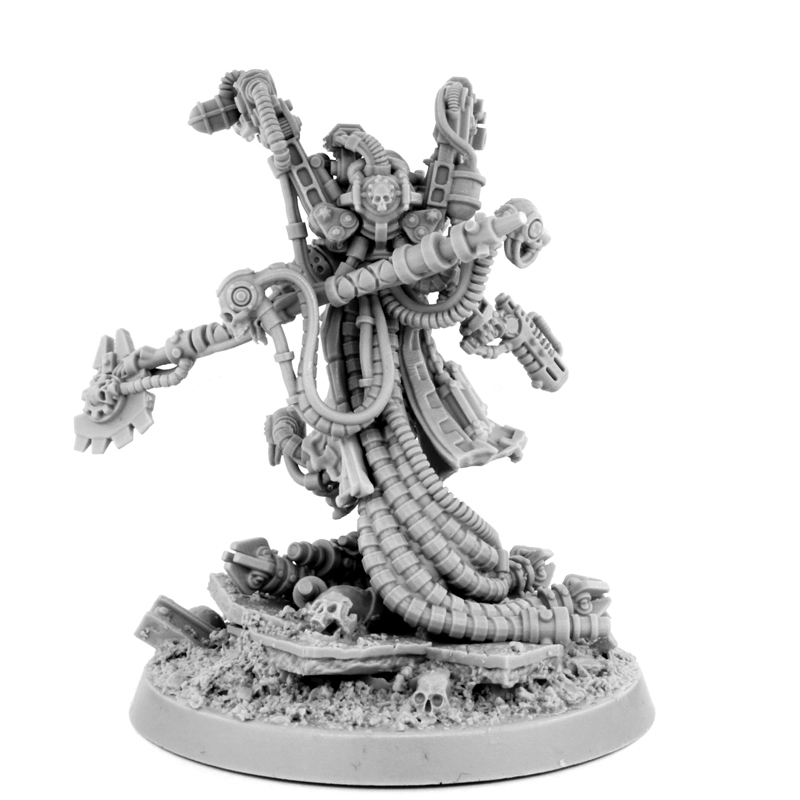 A very, very nice model with an excellent, commanding pose, that will serve nicely as an alternate Dominus for 40k or Horus Heresy era Mechanicum. 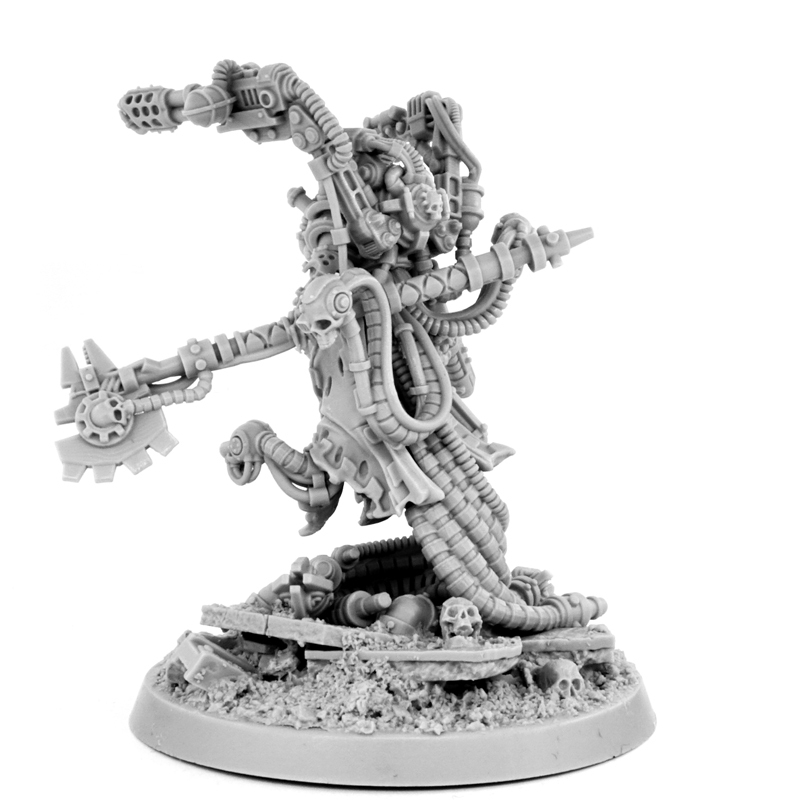 Getting the larger mechadendrites into the back of the model was a bit of a fiddly job, but once it popped into place the rest of the parts fit in like a charm! 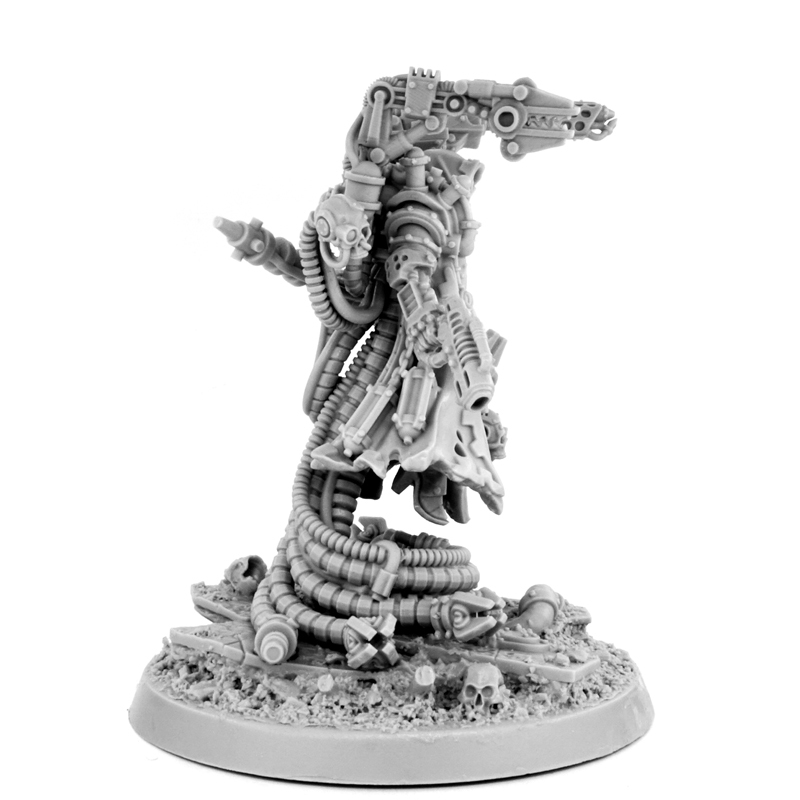 The base also deserves special mention, as this is one of the first times I’ve received a fully resin scenic base that is not warped or otherwise deformed. 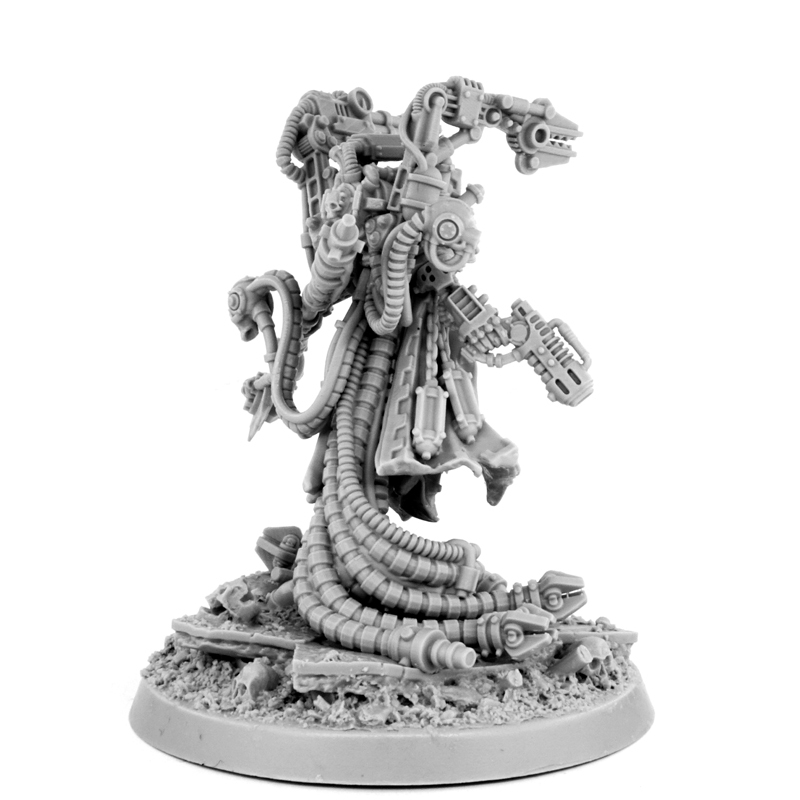 Just really nice and fits together so nicely. 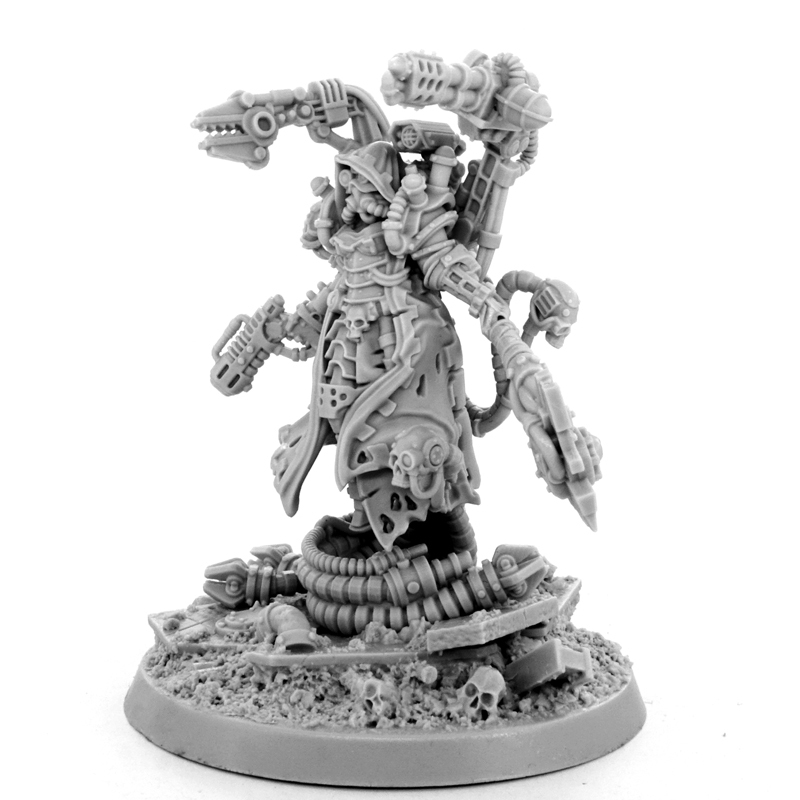 Very well made – no mold lines or flash. 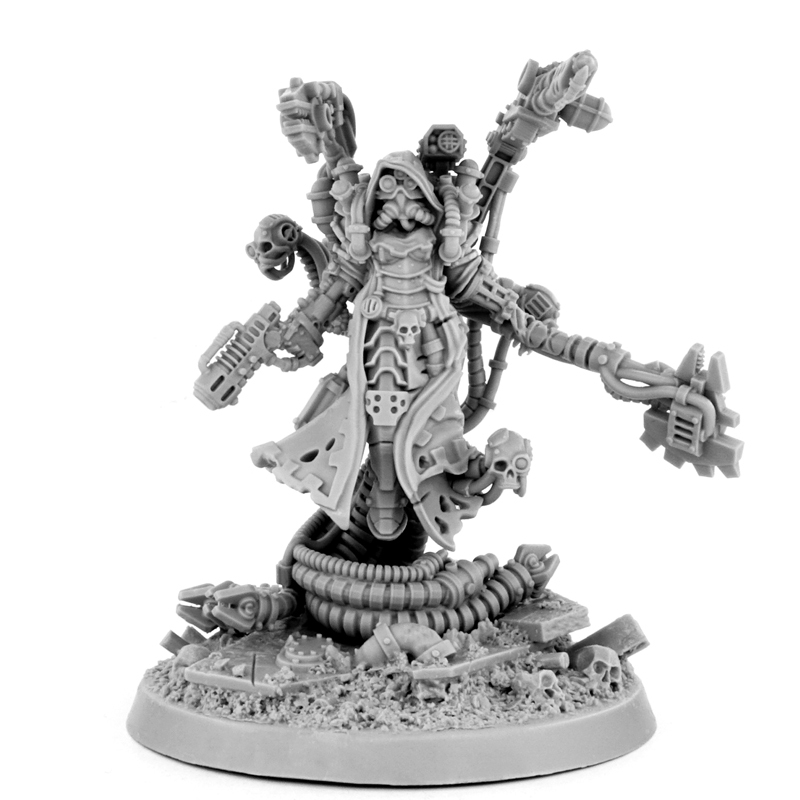 The miniature sculpt and mold quality is just great. 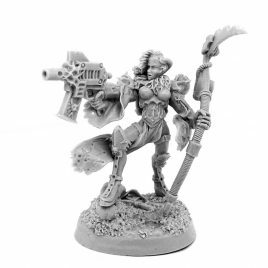 She is exactly 28mm (same size as all the old GW minis), but due to her standing on the mechandrites, it makes her a little bigger and she can easily keep up with the current scale of minis. 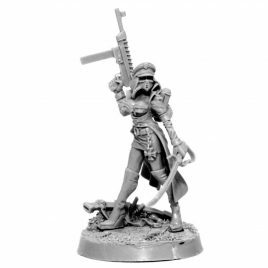 Really looking forward to putting her at the head of my army.